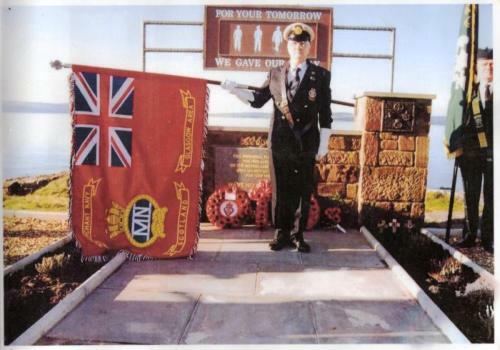 The number of Merchant Navy men killed in the Second World War is open to dispute and different numbers are given in different sources. However the most authentic is that given by the Prime Minister, on 11th April 1945, in the course of a reply to a question in the House of Commons on the number of casualties to all ranks of British Commonwealth and Empire forces. Casualties to Merchant seamen due to enemy action reported from Sept. 3, 1939, to Feb. 28, 1945 were listed as, 30,179 deaths, 3,982 internees, a total of 34,161. 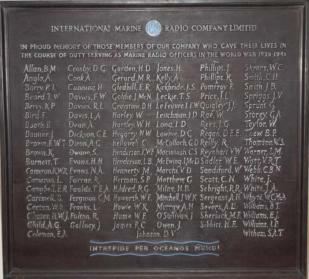 Out of the total Merchant Navy casualties listed above, 1406 Radio Officers are listed as having lost their lives. Most were lost at sea but 113 Radio Officers are listed as being buried in various Commonwealth War Graves Commission cemeteries. The Merchant Navy sustained a horrendous number of ship losses in WW11 Amounting to over 1400 vessels lost to enemy action! 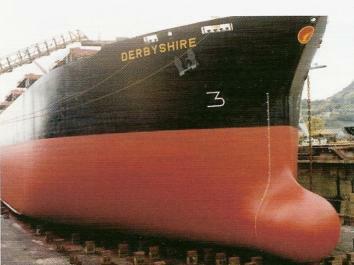 On 9th September 1980 the Bibby line vessel M/V Derbyshire a 169,000 tons DW OBO carrier with a cargo of Iron Ore concentrates from Canada bound for Kawasaki in Japan was caught in Typhoon Orchid some 230 miles southeast of Okinawa at her last reported position.The M/V Derbyshire was sadly lost without trace, with the loss of 42 crew members and 2 officers wives. We must never forget these very brave men and women who paid the ultimate sacrifice to keep our nation free, they have no grave but the sea.